Seth C. Bruggeman, Director (email|web) received his B.A. from Penn State University and his Ph.D. in American Studies from the College of William & Mary. He teaches courses on American cultural history, material culture, memory, and public history. Books include Commemoration: The American Association of State and Local History Guide (2017), Born in the USA: Birth, Commemoration, and American Public Memory (2012), and Here, George Washington Was Born: Memory, Material Culture, and the Public History of a National Monument (2008). Hilary Iris Lowe (email|web) holds a Ph.D. in American Studies from the University of Kansas. She is the author of Mark Twain’s Homes and Literary Tourism (2012) and is currently co-editing a collection of essays concerning American literary tourism, which explores the history of literary sites in the U.S . She is at work on a digital humanities project that explores and documents Literary Philadelphia. Margery Sly (email|web) is the director of Temple University’s Special Collections Research Center. She received her BA in German Literature from Dickinson College and her MA in American History and MS in Library Science from Case Western Reserve. She served as the Deputy Executive Director at the Presbyterian Historical Society (PHS), and she has held several other administrative and archival positions at the PHS and Smith College in Northampton, MA. She teaches courses in Archives and Manuscripts. 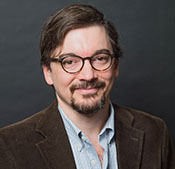 Kenneth Finkel (email|web) is former Library Company Curator of Prints and Photographs, Program Officer at the William Penn Foundation, and WHYY Executive Director of Arts & Culture. Publications include seven books Philadelphia photography and architecture. He has served on various boards, including for the Pennsylvania Humanities Council and the Wagner Free Institute of Science. Deborah Boyer (email|web) is a project manager at Azavea where she manages the PhillyHistory.org website. She believes that historical records should be freely available to everyone and thinks that geography can revolutionize how people connect to their history. Deb received her BA in English from Central Michigan University before moving to Chicago where she completed a Master’s of Public History at Loyola University.